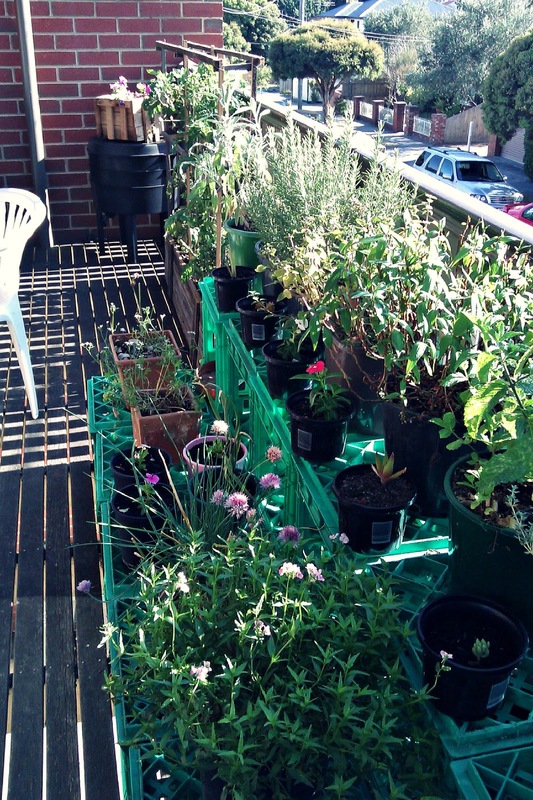 I posted an article about my balcony garden very early on in this blog [link]. I mentioned that I would be upgrading in due course. As always time slips by more quickly than one would like. However, I have a 'half-way there' update. I still have the vertical pallet wall going strong; recently I re-potted all the herbs into larger pots and added some more colour to the mix with a variety of flowering.....things. 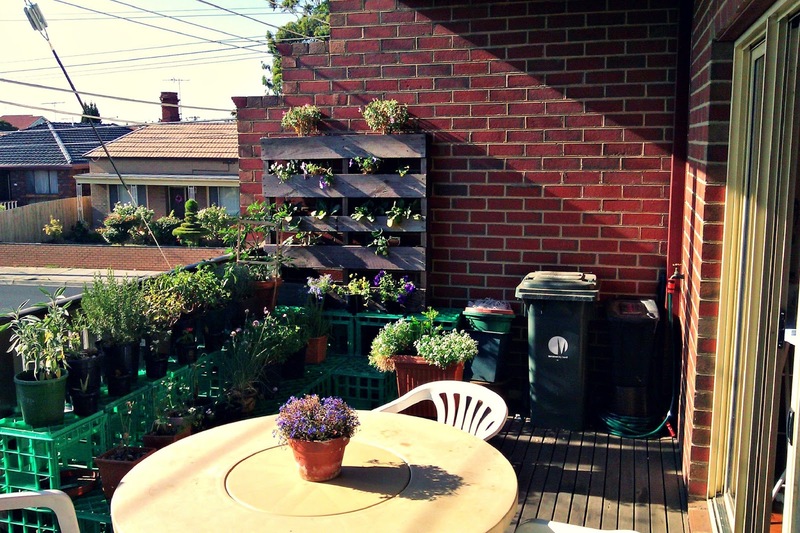 These pots are all arranged on tiered milk crates facing the house and the living room. 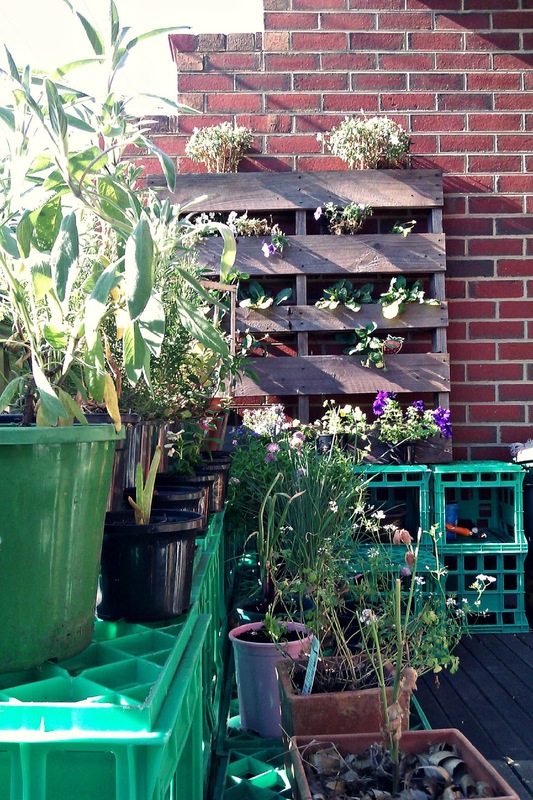 I think the green of milk crates complements the natural green quite well. I transplanted our four tomato plants to a trough I made out of an old fence, lined with builders tarpaulin then spotted with drainage holes. The two in the centre are going well, the two on the outside are struggling a little. I'm not sure why, any suggestions? I have also been trialing drip feeders made from wine bottles. I cut the bottom off the bottle and punch holes in the lid. Spearing them into the soil, the water drips down more gradually than just a surface water. However, they are have terribly inconsistent flow rates and are definitely still trails! Looks nice! 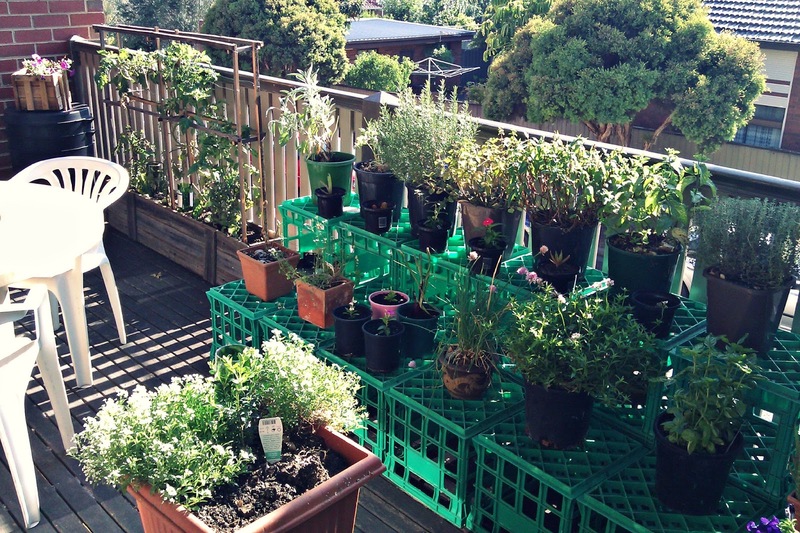 I love the way your crates look - like your own nursery ! 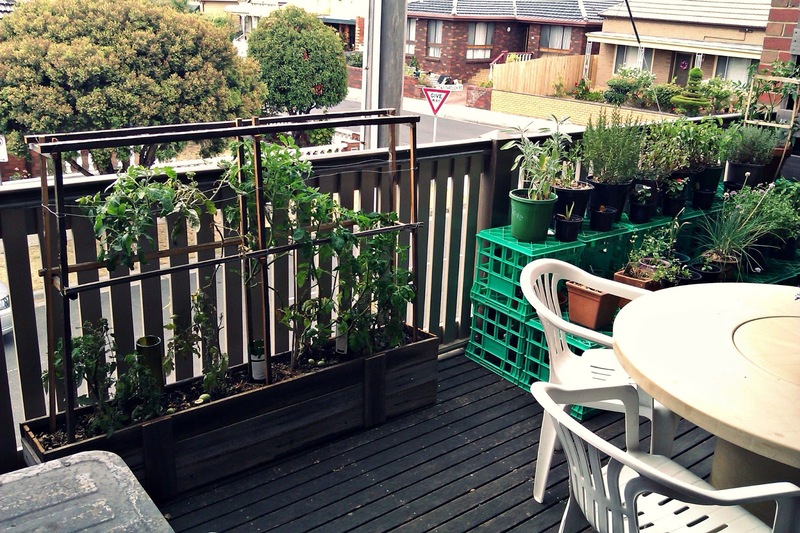 The pallet looks awesome and i really like your trough with trellis, i had a similar one myself going for a while - but your organization really makes this garden stand out. Is the pallet just holding small containers or does it hold dirt directly?